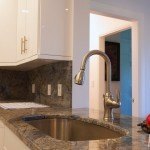 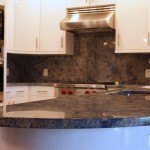 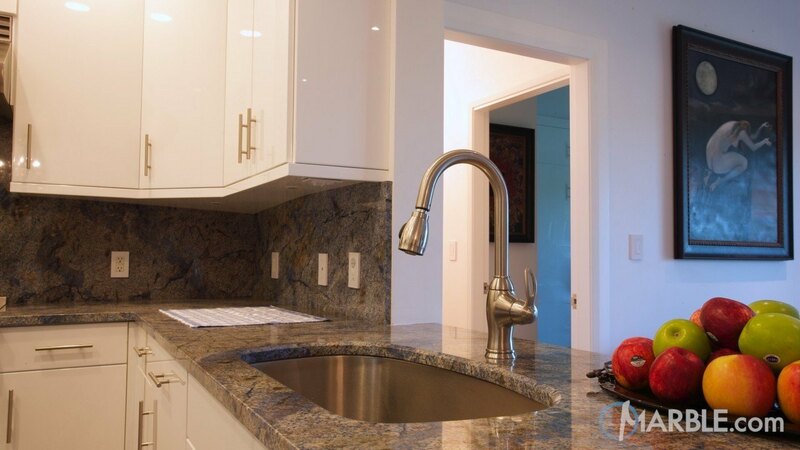 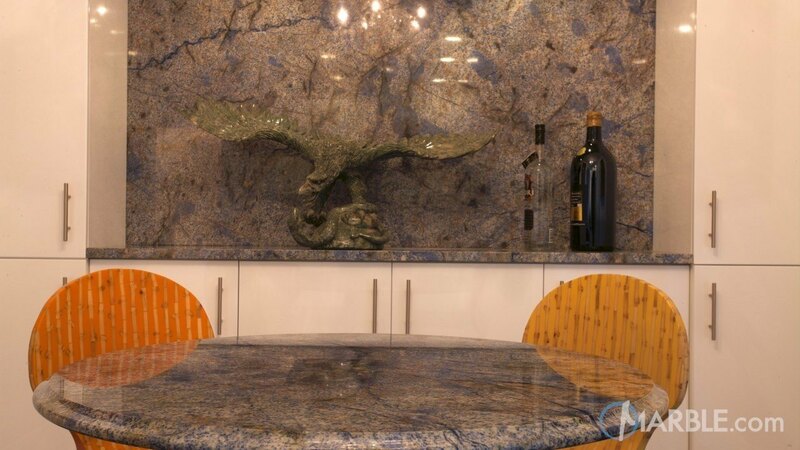 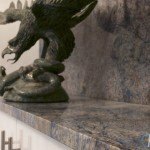 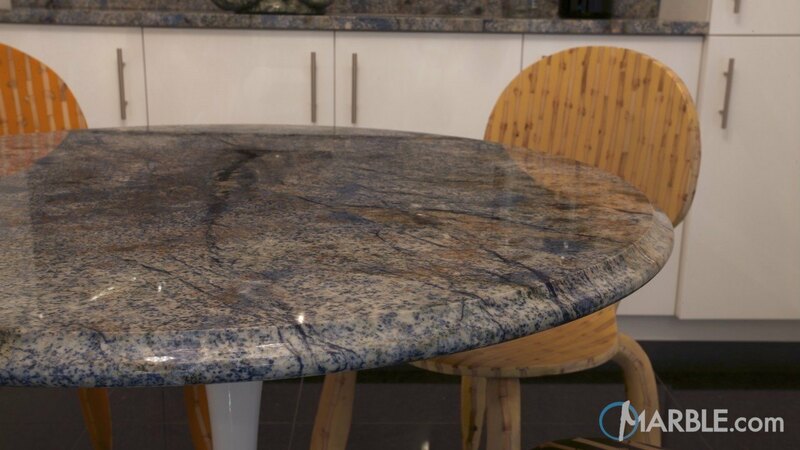 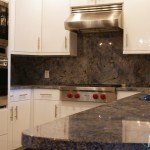 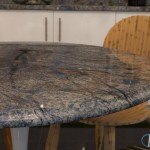 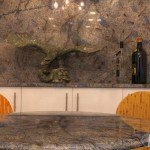 The Blue Bahia Granite counter top with Straight Edge is a stunning showpiece for this home. 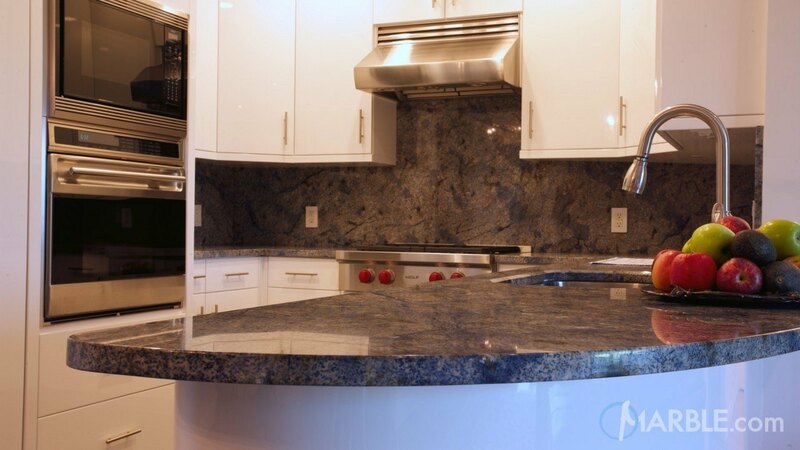 The simplicity of the cabinets sets off the deep blue swirls in this granite piece. 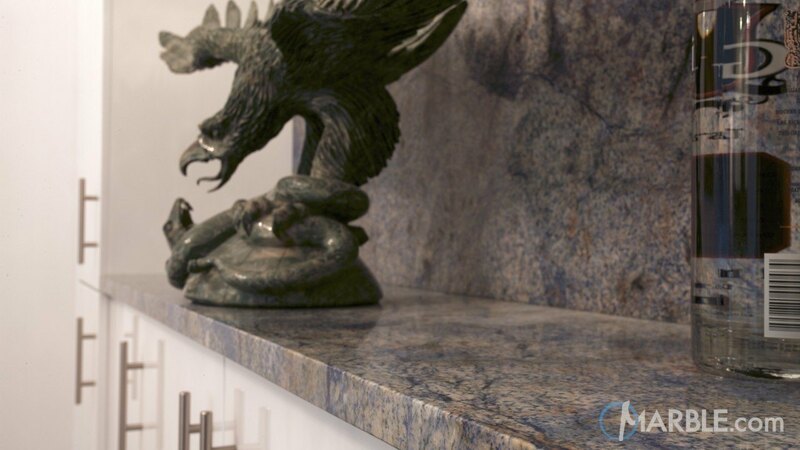 The counter top and back splash perfectly match the eagle sculpture.